Bloomberg Tradebook’s annual Charity Day, now in its fifth year, will bring together employees and celebrity guests on October 27th to raise funds in support of charitable causes around the globe. 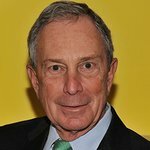 New and returning celebrity ambassadors will join Michael R. Bloomberg, Bloomberg Tradebook’s President and CEO, Glenn Lesko, and Bloomberg employees on the trading desk in New York, London and Hong Kong, with net trading commissions from the day being donated to the more than 15 charities involved. This year, Charity Day will support a range of causes such as youth development, medical research, environmental conservation and community outreach. Charity Day is an opportunity for Bloomberg Tradebook and the financial community to support worthy charitable causes by donating the day’s trading commissions. Since its inception in 2012, Charity Day has raised nearly $4 million in trading commissions earned through futures, equities, options and FX trading. In addition to the events in New York, London and Hong Kong, Bloomberg’s Sao Paulo office celebrated Charity Day on Monday, joining BVSA (Socio-Environmental Investment Exchange) to ring the bell in support of several educational and social projects in Brazil. Bloomberg and its global agency brokerage business, Bloomberg Tradebook, are involved in numerous philanthropic causes year round. In 2015, more than 9,800 employees volunteered more than 86,800 hours with 300 charities in 56 cities around the world. The company’s philanthropy and engagement program supports causes and efforts that strengthen communities and improve quality of life worldwide.